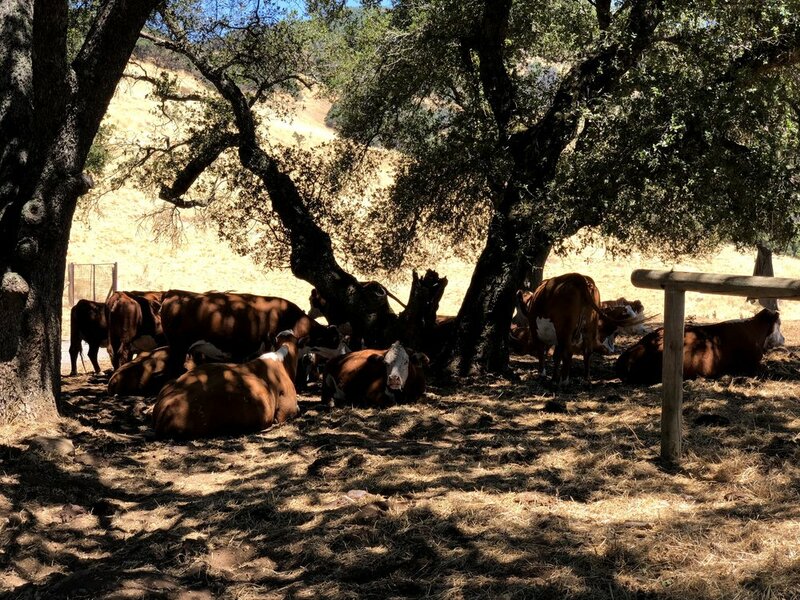 Five generations of the Kunde Family have farmed the 1,850 acre property. Open Daily, 10:30-5:00 pm, walk-ins welcome. 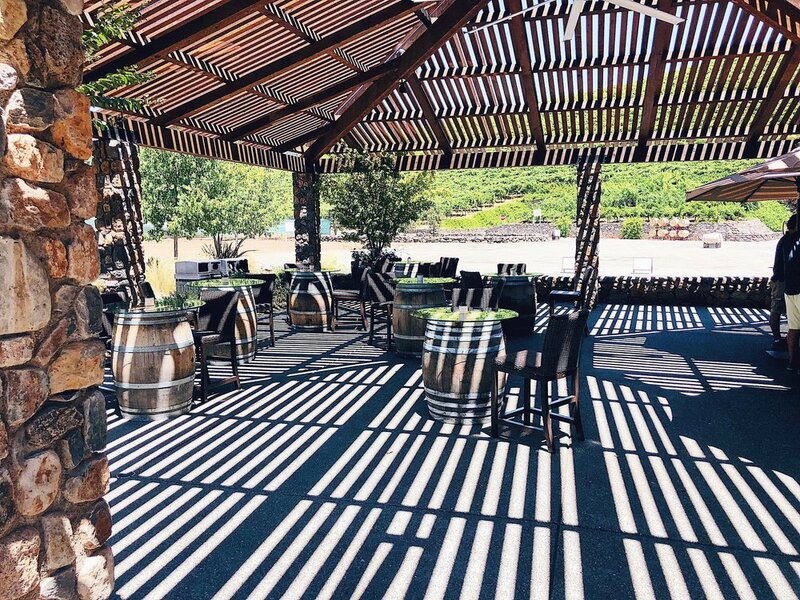 Spectacular grounds: huge tasting room, patio next to a lagoon, large picnic area. 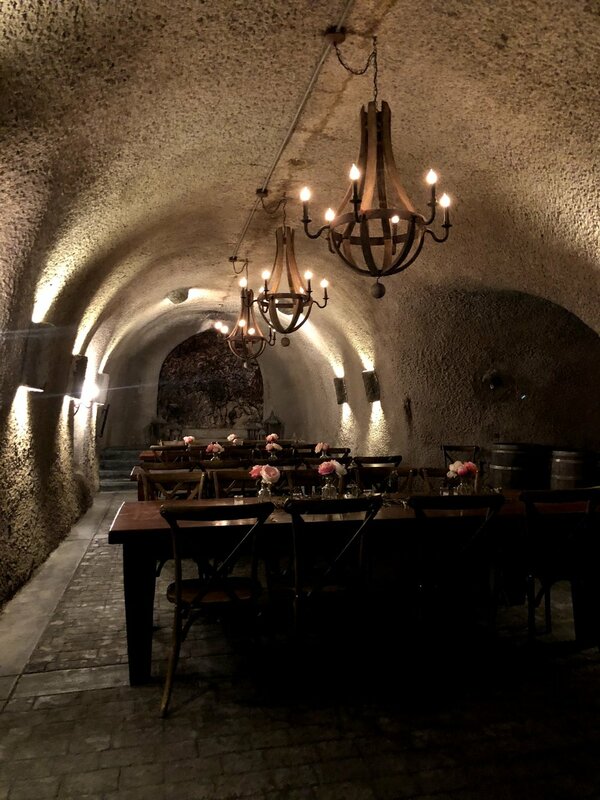 An alternative to the often crowded tasting room. All wines are produced on site. Winery events are held way up on the top of the hill. The views alone at this winery are worth a visit. First the cave tour and then you are transported by van to the mountain top. A two hour tour, 12:00, 1:30, 3:00 by appointment, $60 pp. Outside Bar Tasting: until 4:30, $15 pp. 6 tastings. 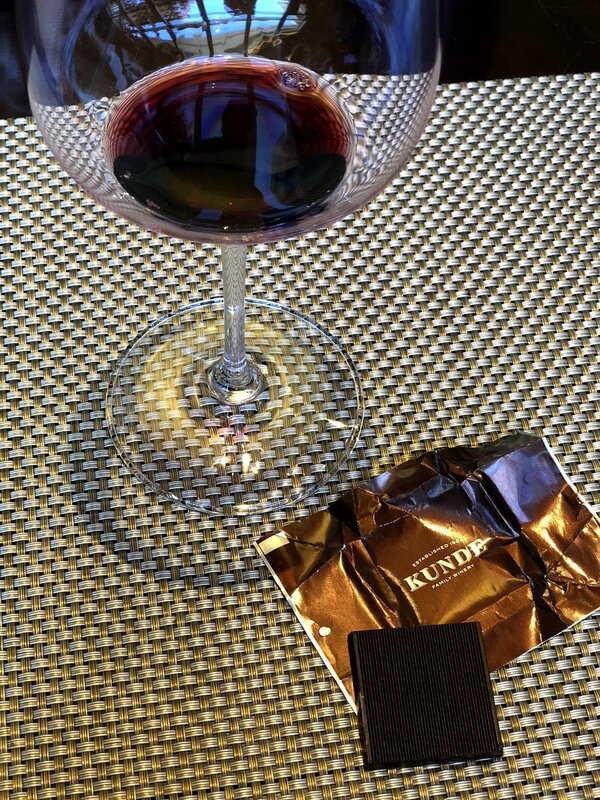 $15 pp, taste 6 Kunde wines. $30 pp., by appointment, 11:00-4:00, cheese plate for 2, private room. 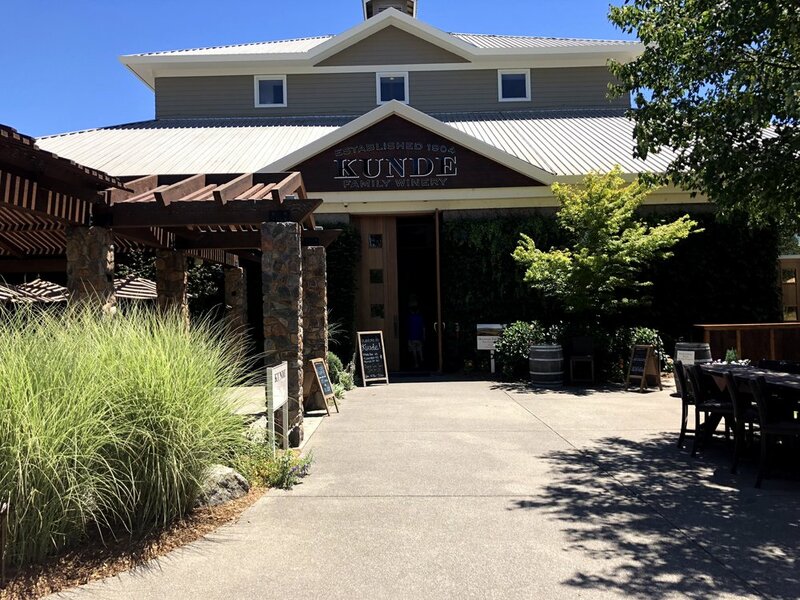 Kunde also produces meat products from the cattle on the property. Winery shop which offers yummy chocolates and other foods for your picnic enjoyment. Games include Jenga and Corn Hole. Chardonnay, Sauvignon Blanc, Rose, Meritage, Zinfandel, Malbec, Cabernet Sauvignon, Dessert Cuvee. Wine Prices: Whites average $25, Reds average $35. 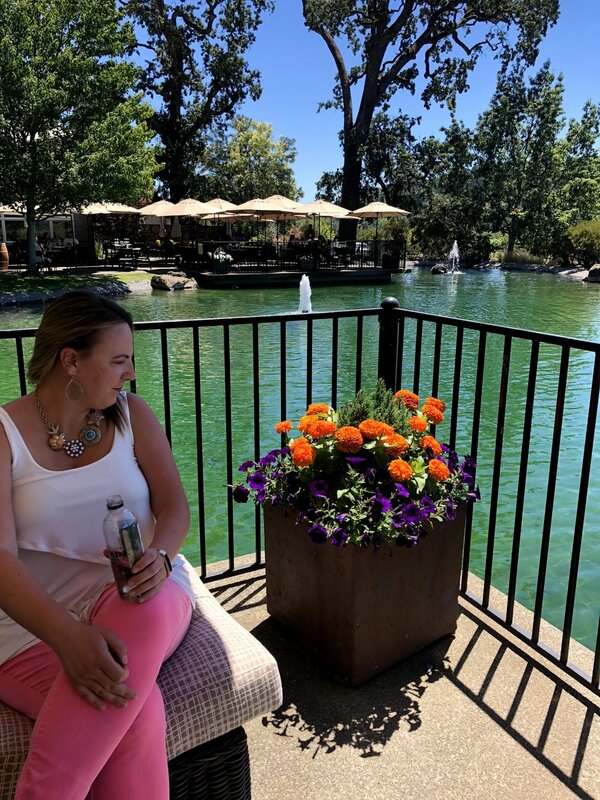 People flock to Kunde and fortunately the facility accommodates many visitors. Walk across the street for happy hour snacks at the new restaurant, Salt and Stone. 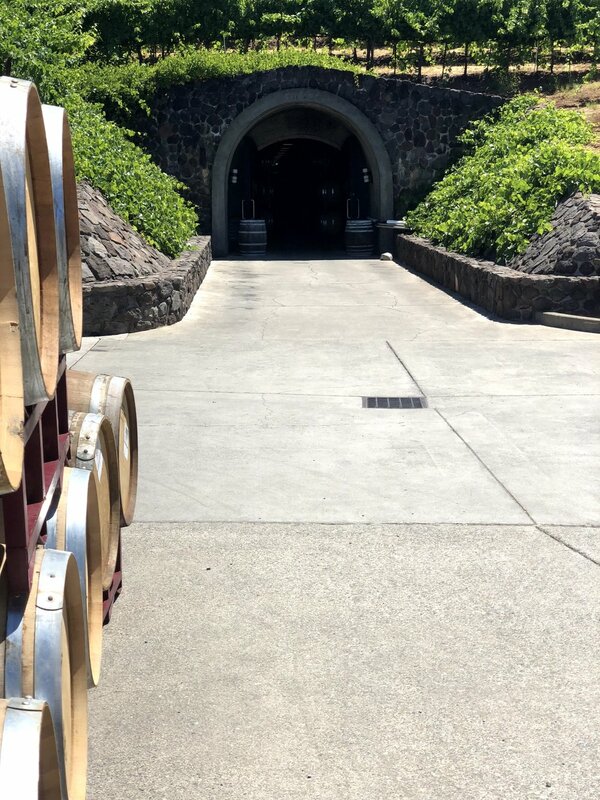 Movie buffs may know that Kunde was the setting for the movie, Bottleshock! If you know the movie you’ll recognize the boxing ring.